The Bihar capital is getting ready for the state’s first full marathon on December 17. The Bihar capital is getting ready for the state’s first full marathon on December 17. The event is being organised by the Patna district administration with help from two companies based in Bengaluru and Mumbai. Special efforts are being made to rope in celebrities with a Bihar connection. Bollywood actors such as Manoj Bajpayee, Sonakshi Sinha, Pankaj Tripathi, Sushant Singh Rajput, Nitu Chandra and Abhimanyu Singh; director Prakash Jha, and mathematician Anand Kumar of Super-30 fame are likely to be among the runners. Christened ‘Run for Bihar,’ the event will be a tribute to Shiv Nath Singh, a native of Buxar near Patna who holds the national record for running a full marathon in Jalandhar in two hours and 12 minutes in 1978. Knowledge, it is rightly said, is not shackled by the limitations imposed by languages. But when it comes to English and university students in Bihar, the relationship assumes grave complexities of a love-hate nature. Many graduates who appeared in the prestigious Combined Defence Services (CDS) examinations in Patna recently were unnerved by the “unexpectedly tough” English language paper. Most of them found comprehension questions from given passages and questions related to synonyms and antonyms quite baffling. “Even the questions requiring us to suitably arrange jumbled parts of sentences were tough to answer,” said one examinee. The root of the problem, according to English professors at Patna University, lies in the fact that most fresh graduates in Bihar prefer to read and write in Hindi even though they aspire to speak English well. the government and social organisations. 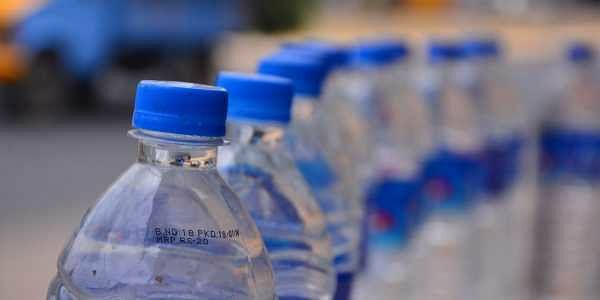 The Patna district administration was flooded by complaints about poor quality of water sold by bottled mineral water brands. So, district magistrate Sanjay Kumar Agarwal recently ordered raids on bottling plants and godowns. Samples collected from a dozen places were tested at the state PHED laboratory. The results, which came three days later, showed that water sold by at least five manufacturers was found unfit for consumption. The pH value of the water was found less than the permissible level of seven. Besides, the water had not gone through the mandatory filtration, UV/ ozone treatment or reverse osmosis.